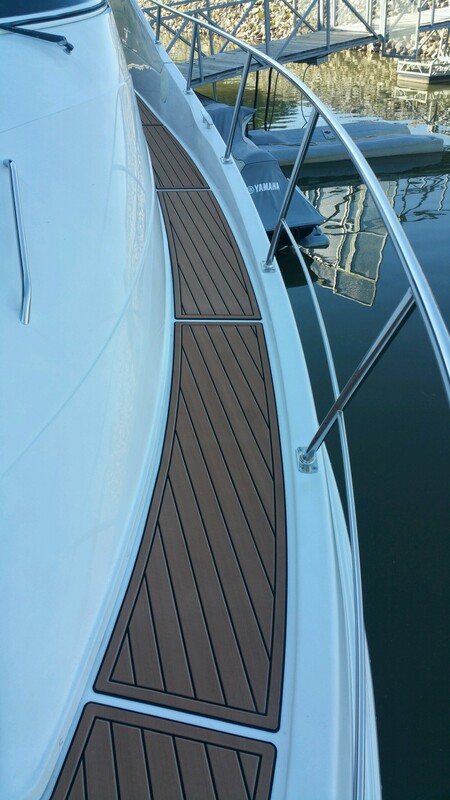 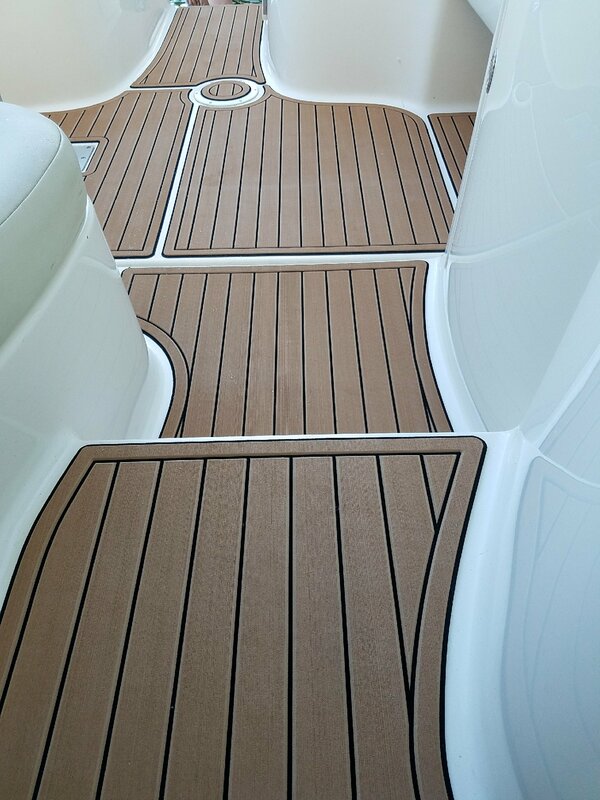 Want an cost-effective alternative to hardwood, carpet or woven sea grass for your boat, without sacrificing aesthetics? 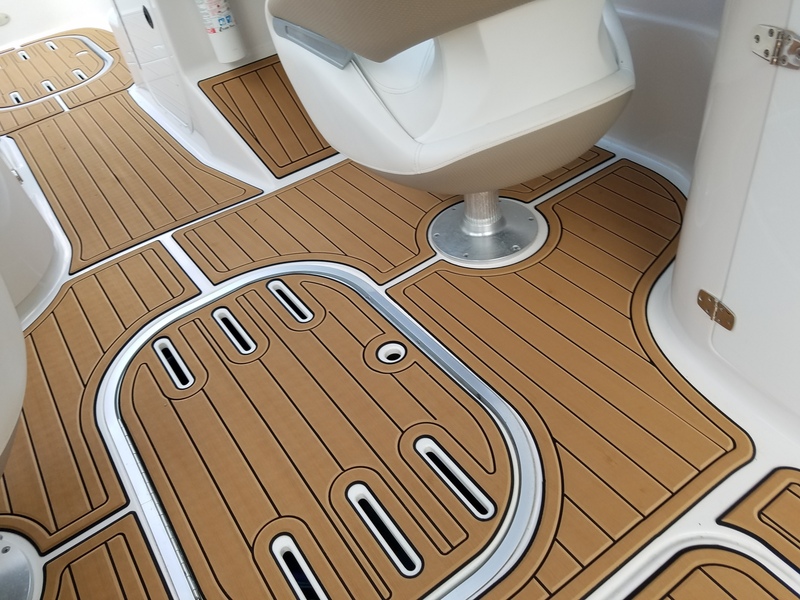 You’ll love our newest marine flooring solution. 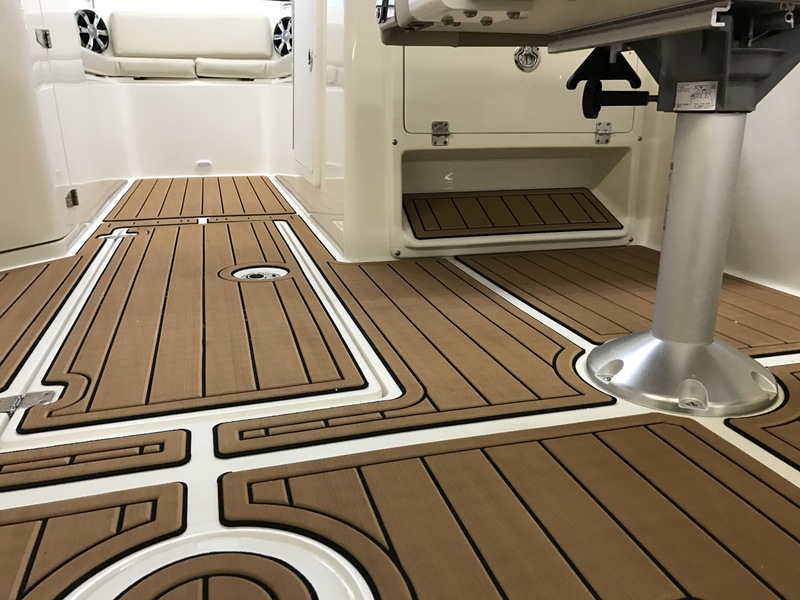 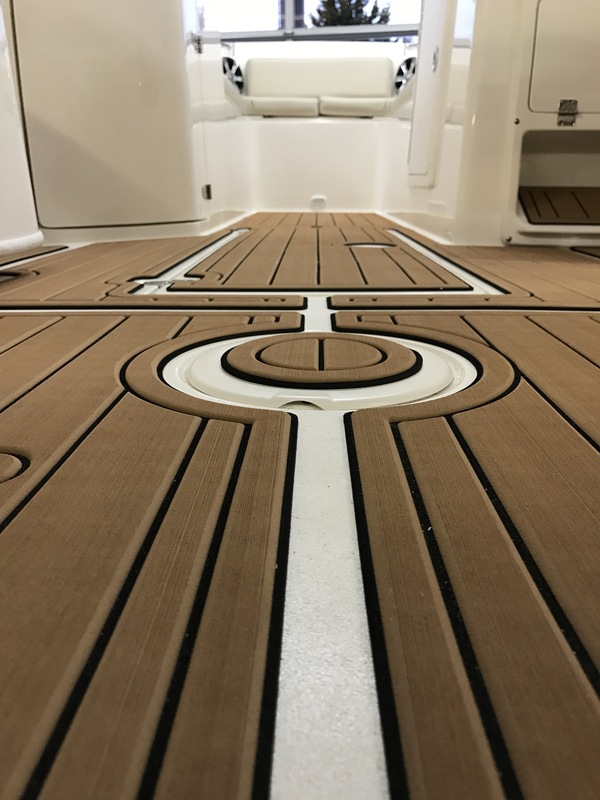 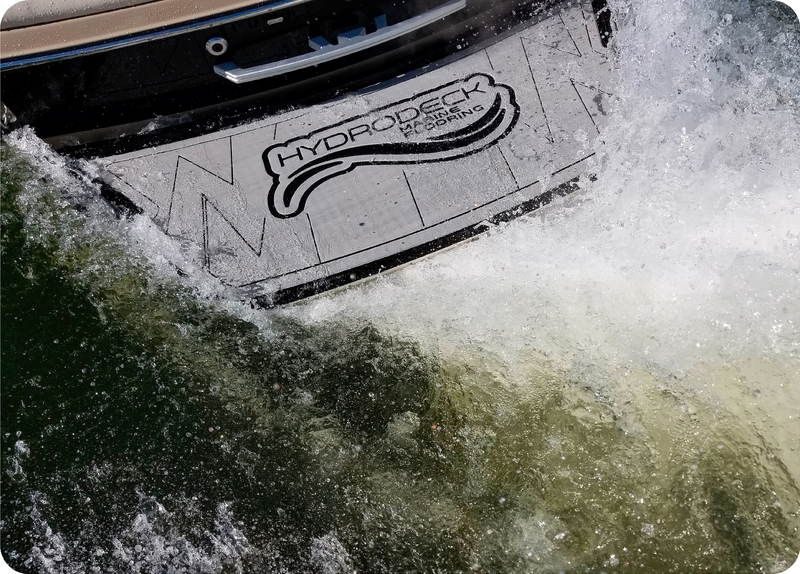 Hydrodeck is state-of art, closed cell EVA UV-protected non-absorbent foam flooring specifically designed for boat and other marine applications. 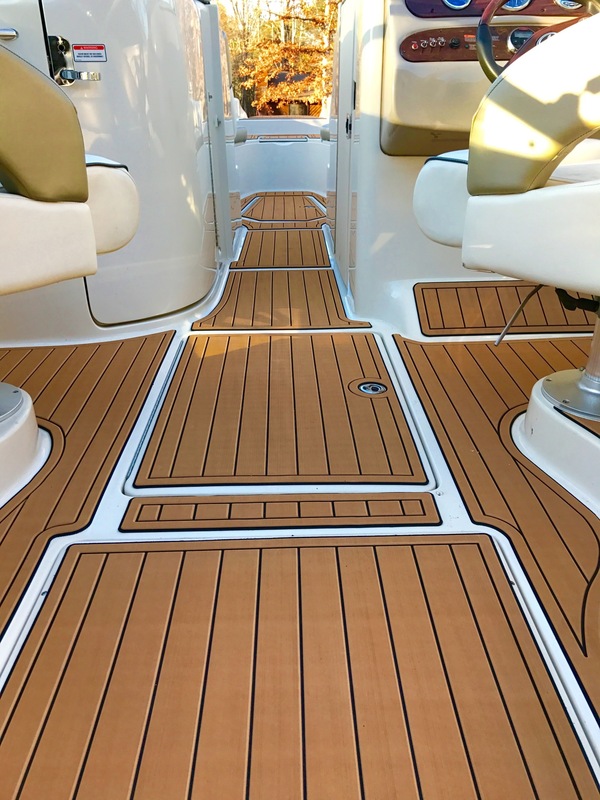 Anti-slip and anti-fungal, Hydrodeck resists stains and is virtually maintenance-free. 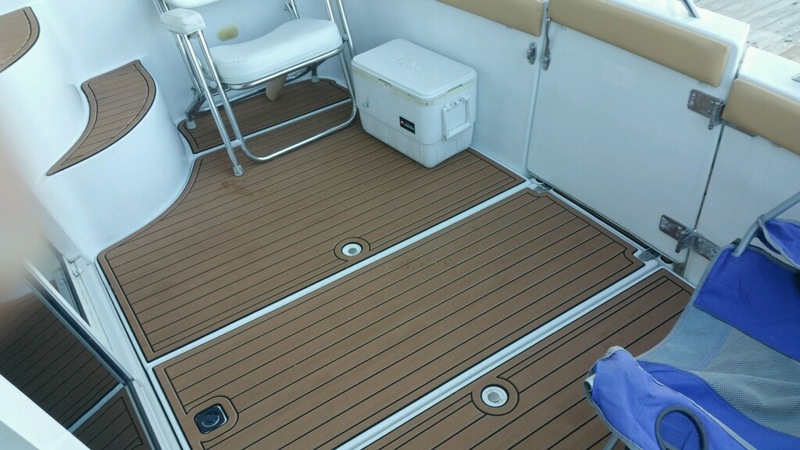 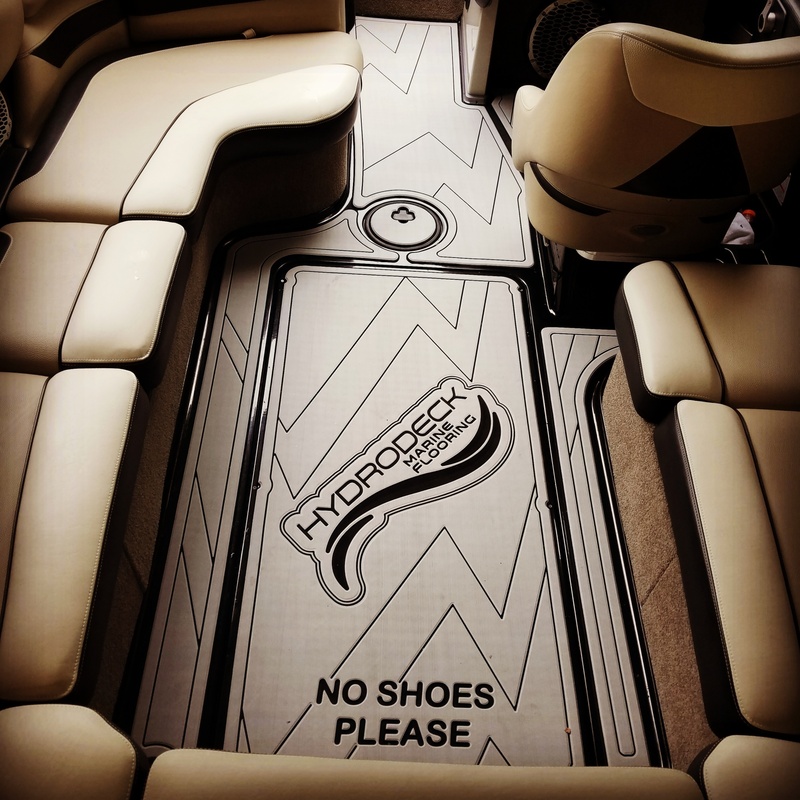 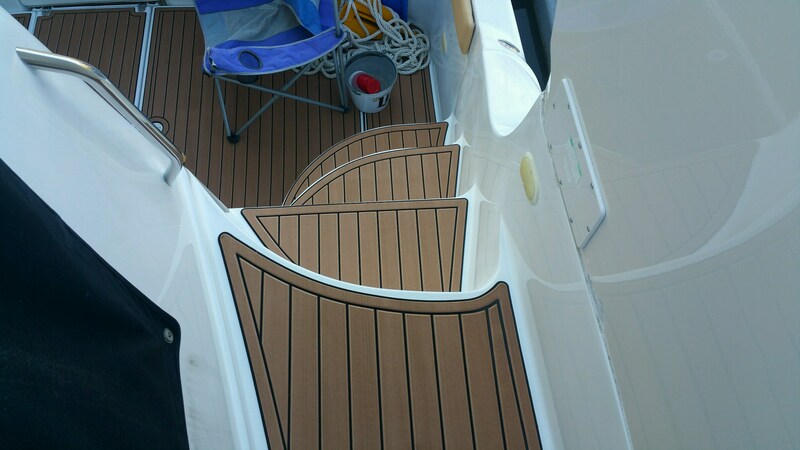 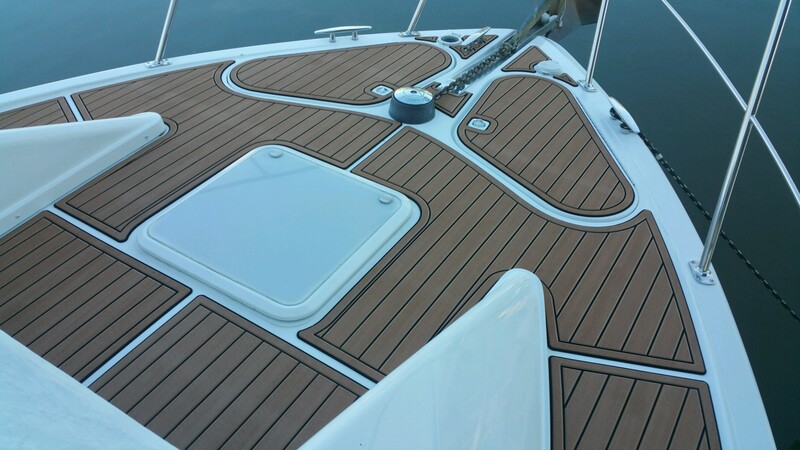 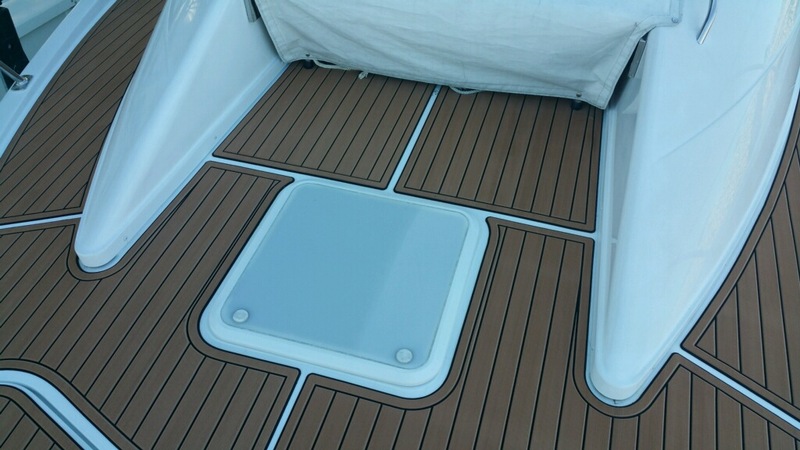 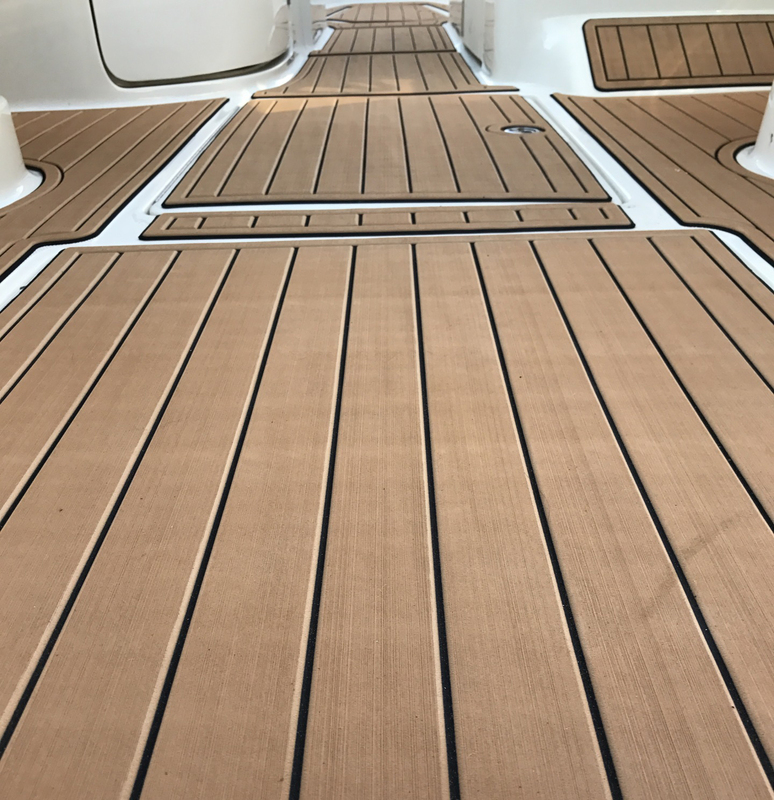 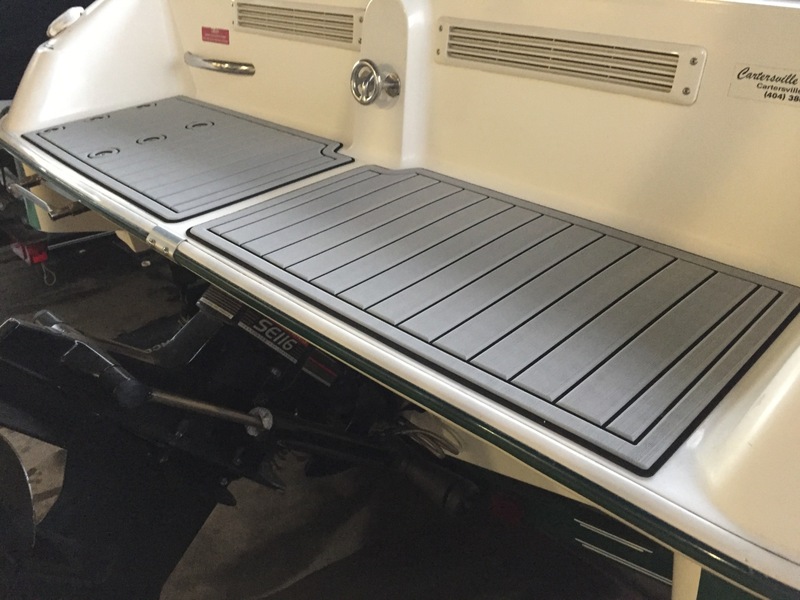 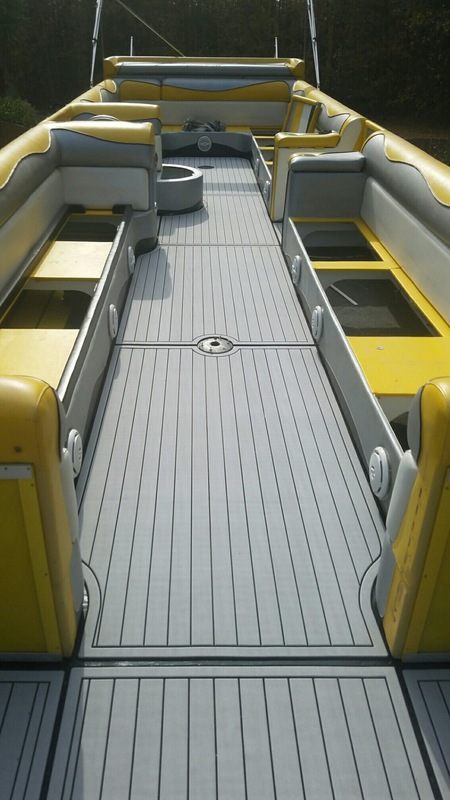 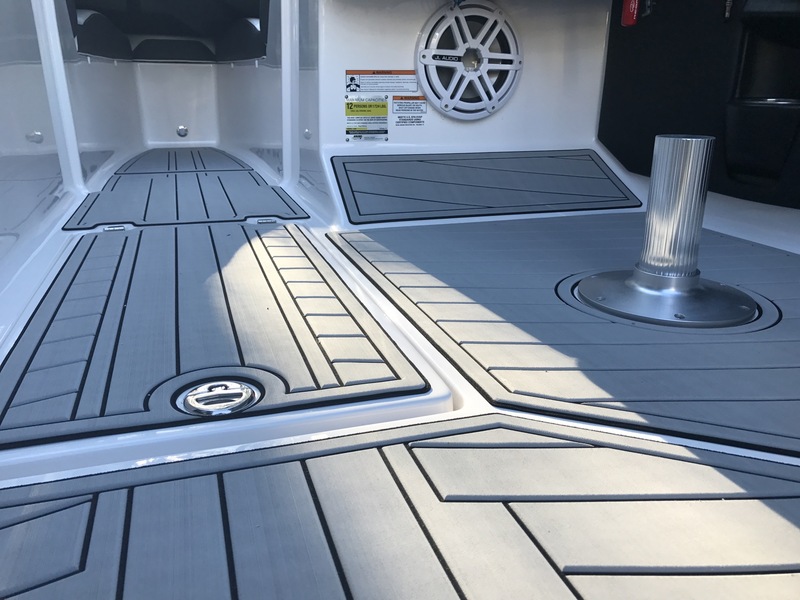 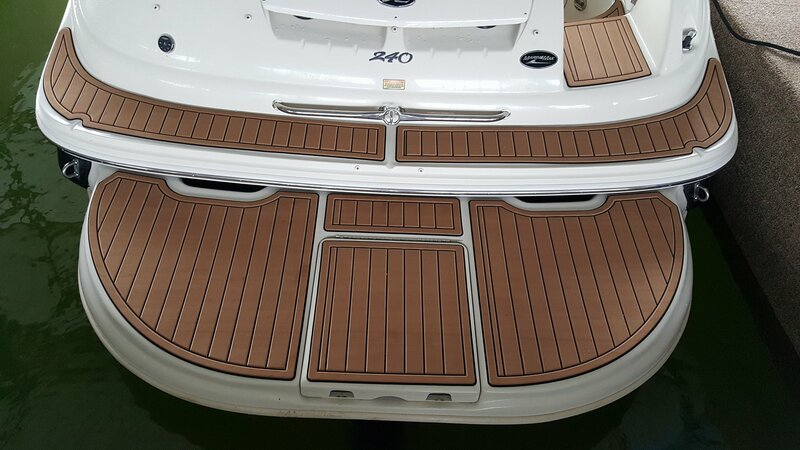 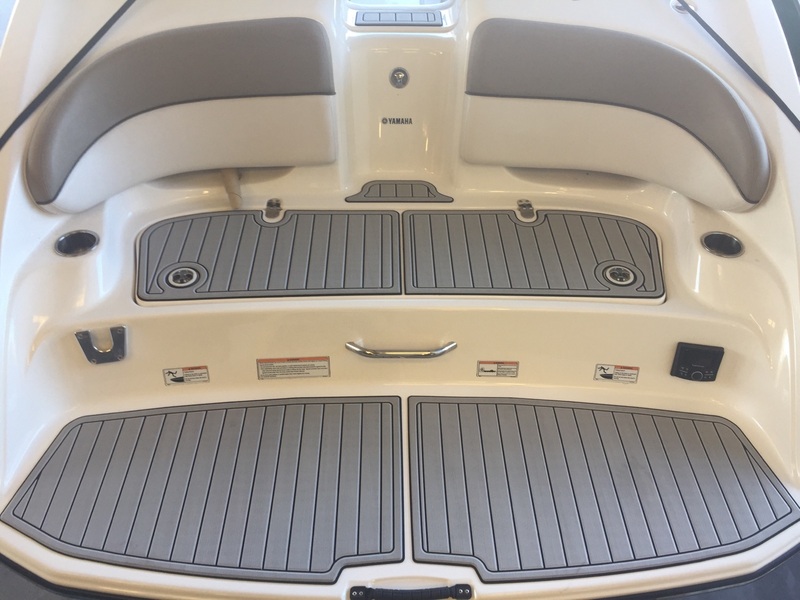 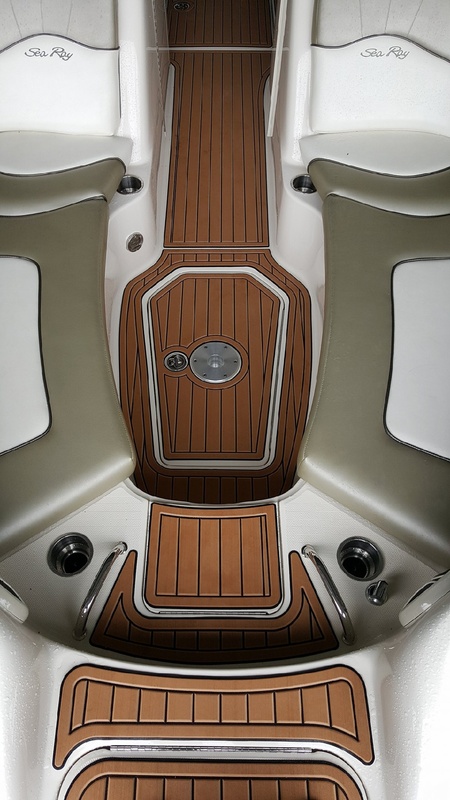 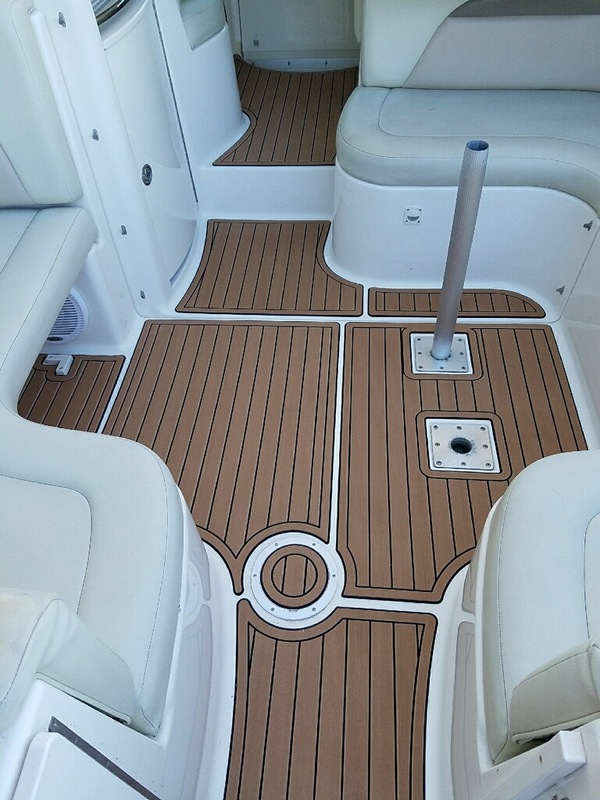 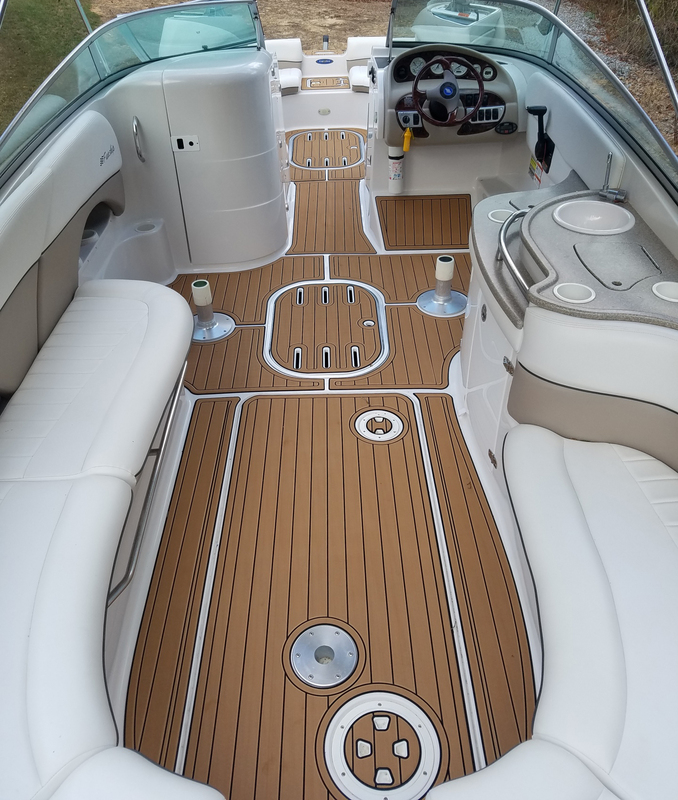 In your boat’s living quarters and interior spaces or on the outside decks, Hydrodeck stands up to high traffic while giving your feet a soft, flexible surface that repels water. 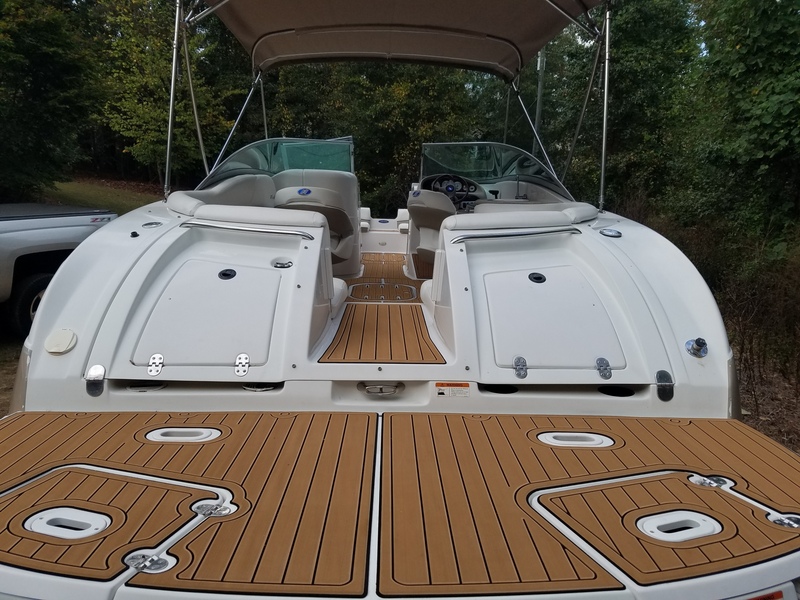 Contact us today to upgrade your boat at Lake Lanier or Lake Allatoona! 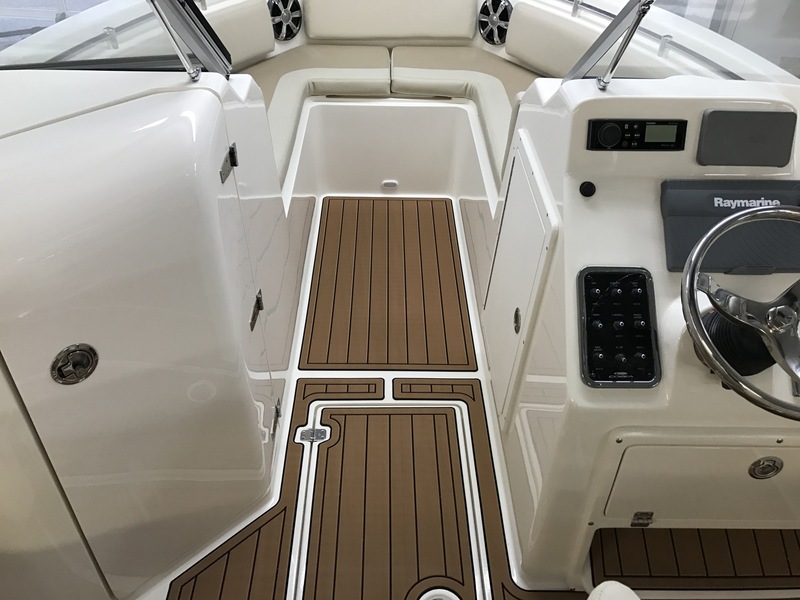 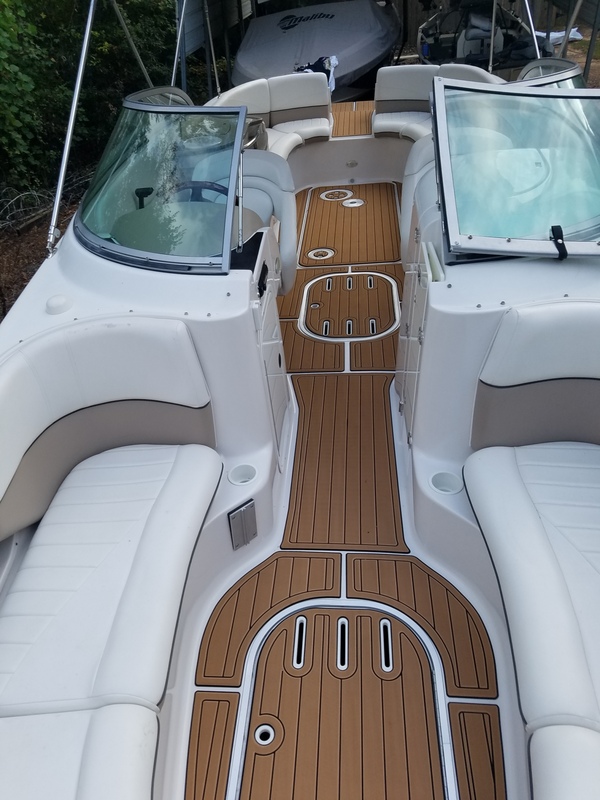 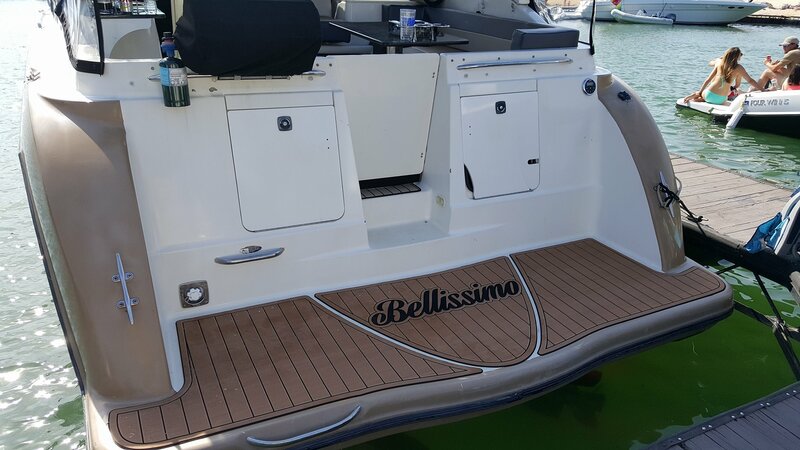 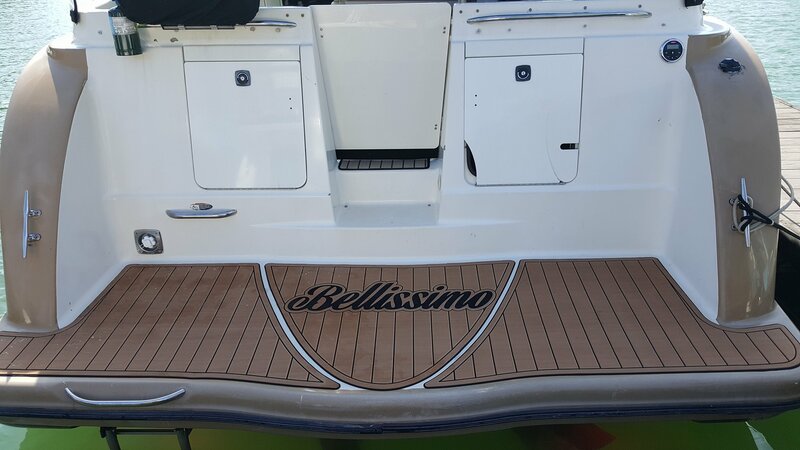 Here at On the Water Solutions we offer boat canvas, marine carpet, custom boat vinyl and marine vinyl upholstery, underwater lighting and so much more! 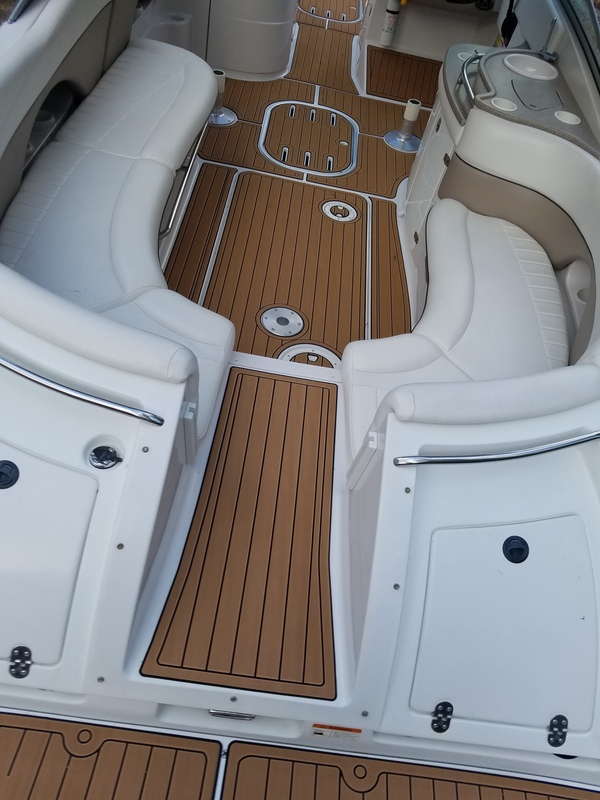 We service boats on Lake Lanier and Lake Allatoona. 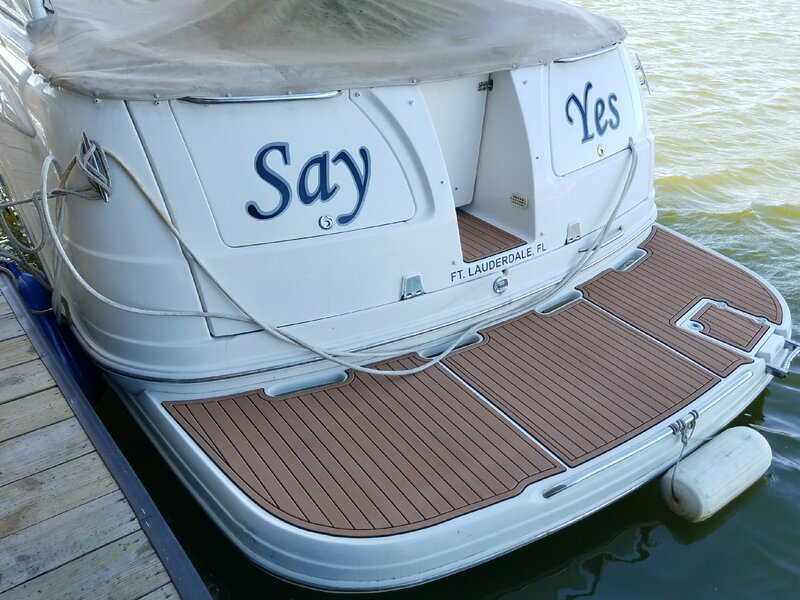 Call us to find out if we can come to your boat at other surrounding lakes. 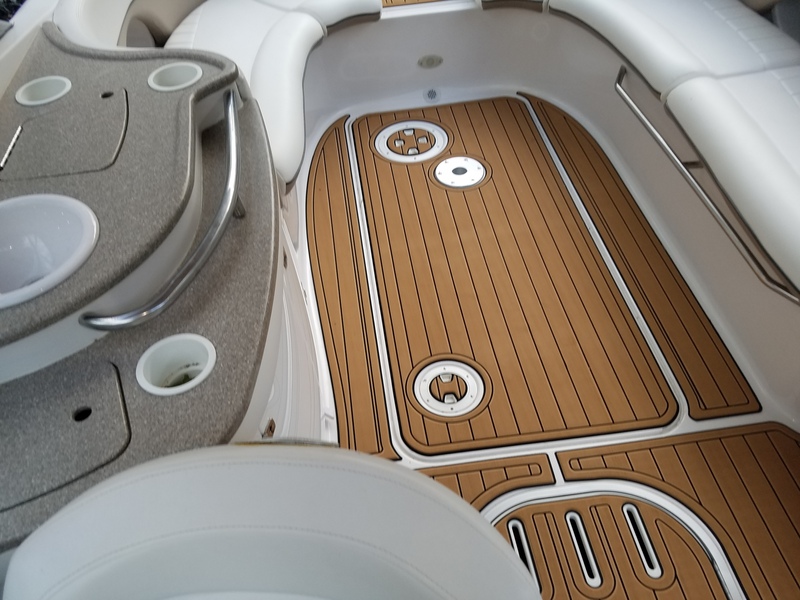 Give us a call today to set up an appointment to talk about what upgrades we can do for YOUR boat!